What's in a glass? Hopefully some good beer, but does it matter if you use the proper glass for your chosen beer style? In short, yes, but now there's a been a few beer specific (Rastal teku) and beer style specific glasses (e.g. Sierra Nevada x Dogfish Head Spiegelau IPA glass) popping up recently, the newest being the Left Hand x Rogue Spiegelau stout glass. So do you need this glass for your stouts? Maybe. Modern Times Black House- Coffee stout, 5.8% ABV, a proven favorite of mine, and proper glassware is a pint glass (I used a willi becher glass). In both cases the stout glass provided a bigger more constant head at the initial pour and throughout the comparison, but only slightly. The oversized snifter performed just as well as the stout glass, but Black House had stronger coffee aromas in the stout glass versus the willi becher. 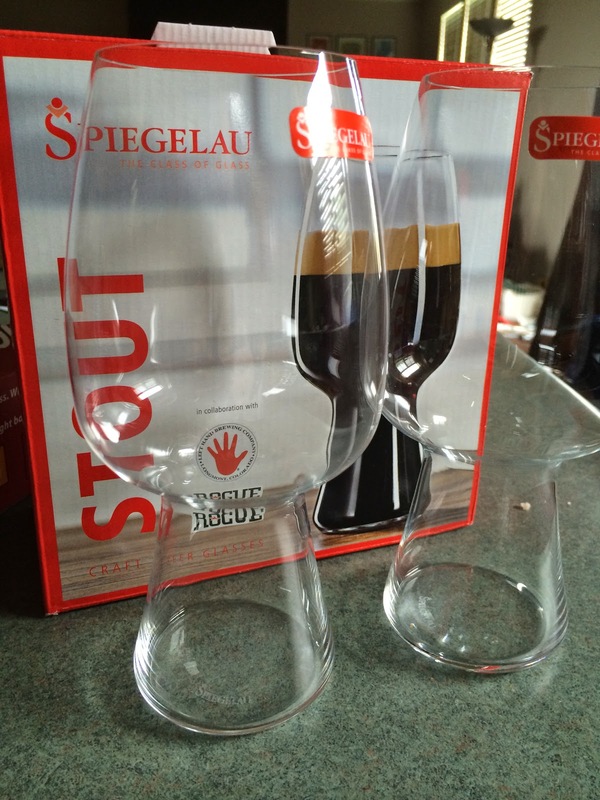 This really isn't a surprise as both the snifter and stout glass have designs that funnel aromas to the nose. 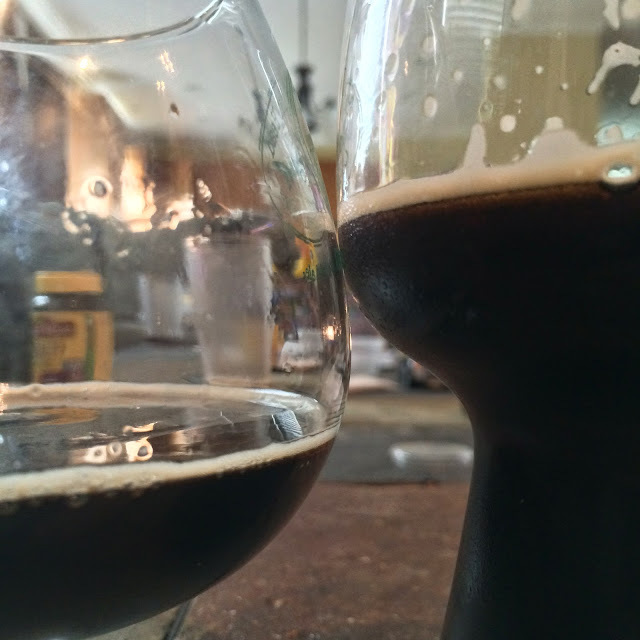 With both beers the stout glass helped provide a smoother creamier mouthfeel. The lip between the "stem" and bowl helps agitate the beer, creating this mouthfeel trick. 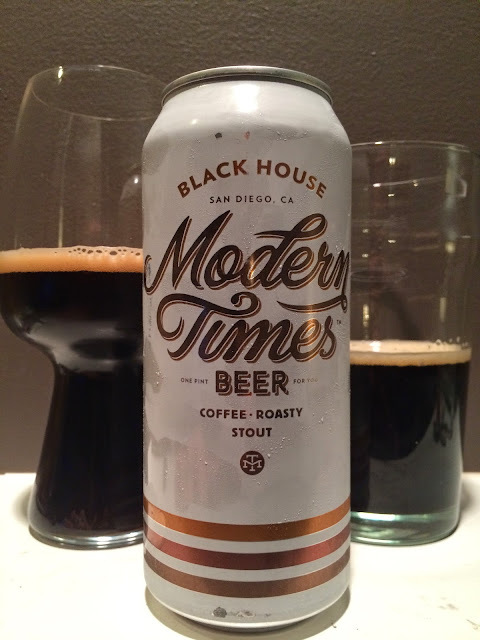 Overall this seemed to benefit the regular stout more. You have a snifter and mostly drink imperial stouts: Don't buy; your snifter will work well enough. You mostly drink non-imperial stouts: I'd lean towards buy; this is where I think this glass will shine as it should help bump up the mouthfeel of a regular stout. It should be noted that this glass comes in 3 flavors: Blank, Rogue Brewing branded, and Left Hand Brewing branded. I opted for the blank version, which much to my great annoyance, does not have etching on the bottom like the branded ones do. This etching provides nucleation spots for bubbles to form on, further enhancing head and mouthfeel. "Don't want to advertise a brewery?!? No extra bubbles for you!!" The lack of nucleation spots on mine does not change my opinion; the versions with nucleation will just be better at what I think this glass already does well, but won't help the other aspects. In sum, whether or not you buy this glass will depend on your stout preferences and your existing glassware collection.